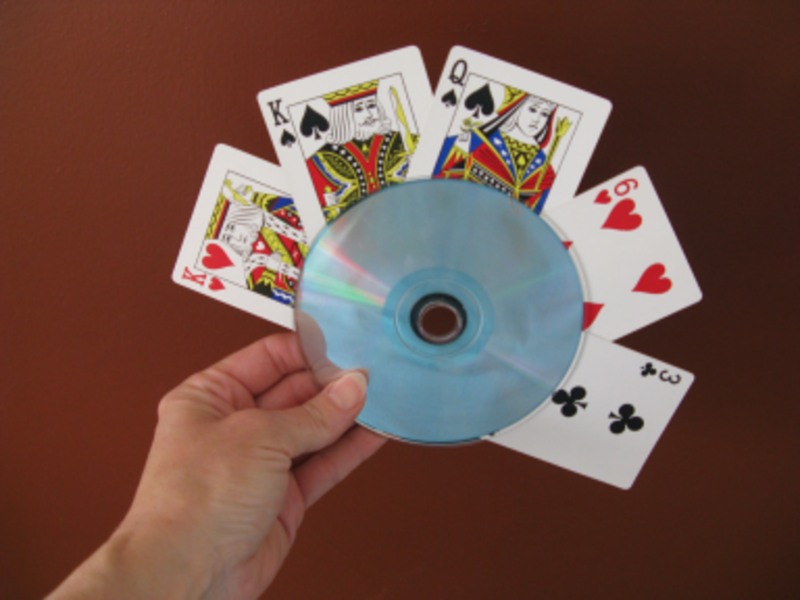 Is there a good reason to keep old CDs? 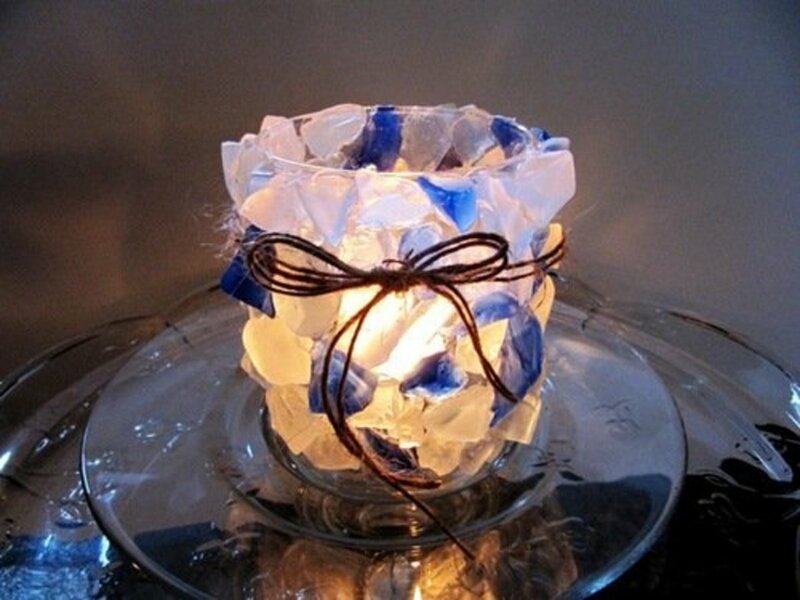 Teaching kids that recycling can be fun starts with making crafts out of objects that usually are trashed. 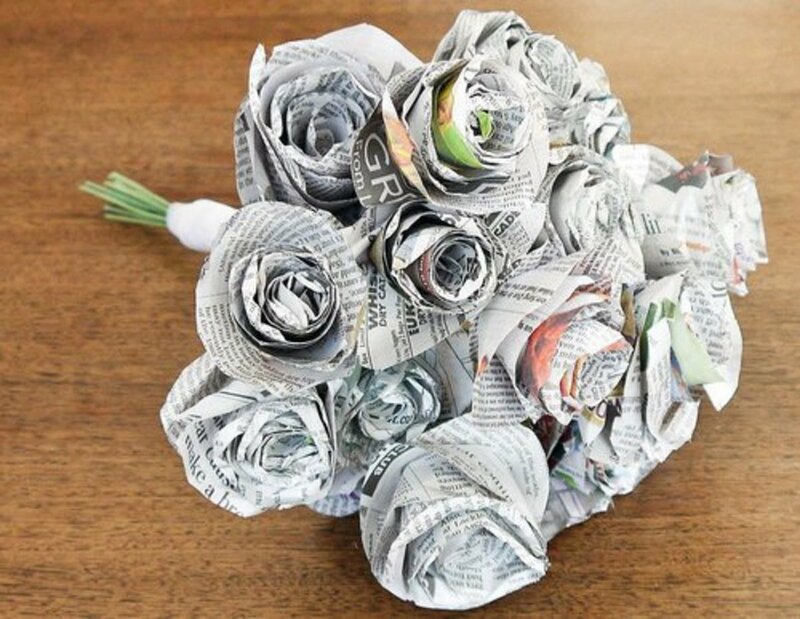 Crafters can be undeniably imaginative in the way they use recyclables. 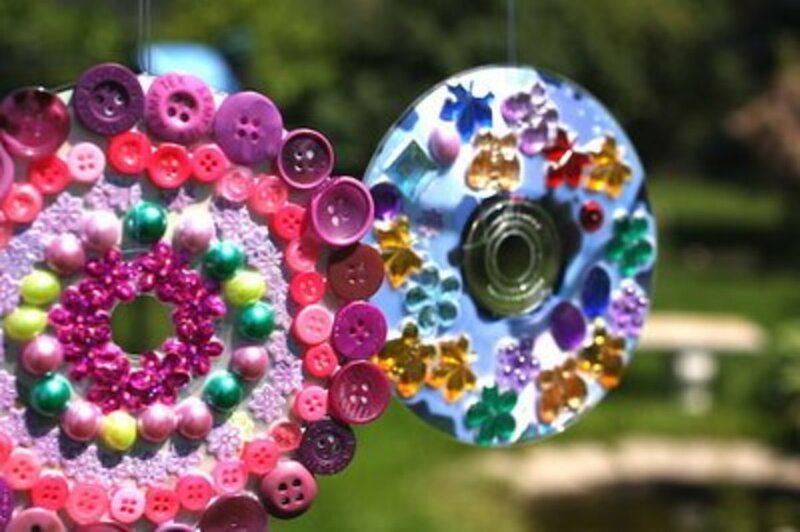 Kids enjoy making crafts from old CDs, and they'll learn to be very aware of the importance of recycling. To make the beautiful peacock above, go to i heart crafty things for the tutorial. 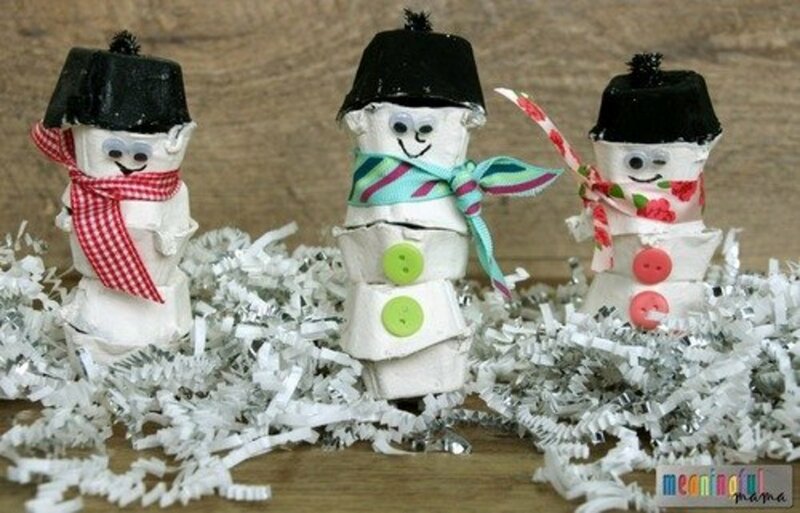 These little snowmen are just the cutest thing I've seen in a while. 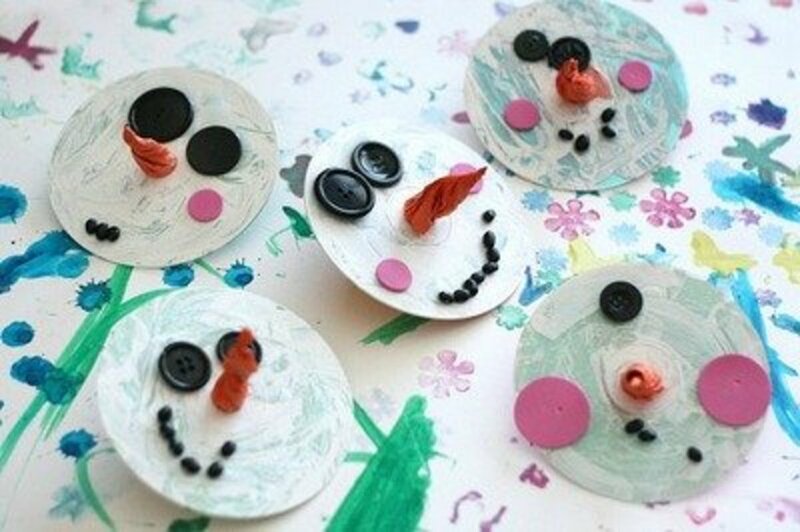 Imagine how much fun the kids will have making these snowmen. Any possible looks you make will be unique. 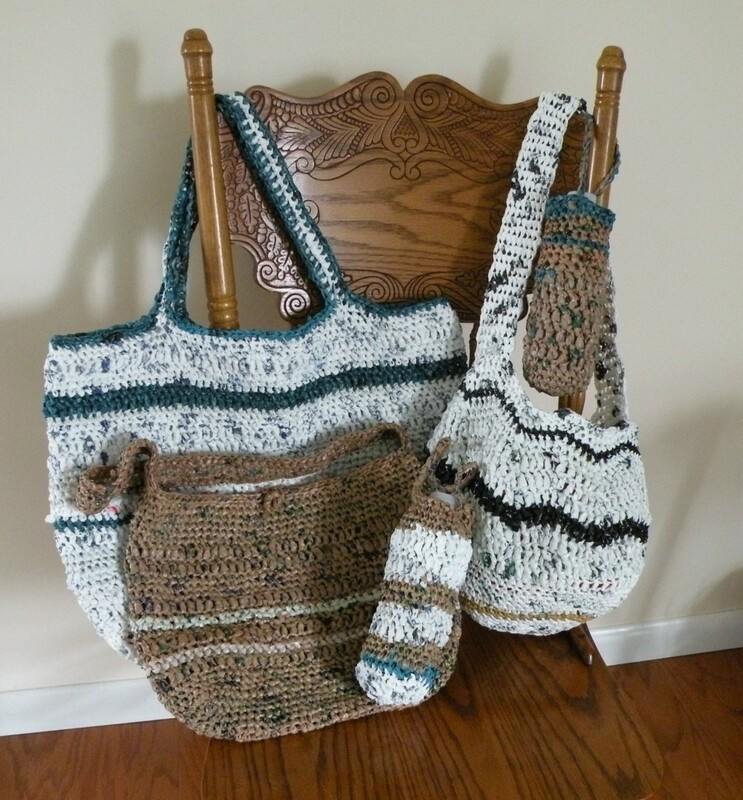 This super cute project has a tutorial at Happy Hooligans. 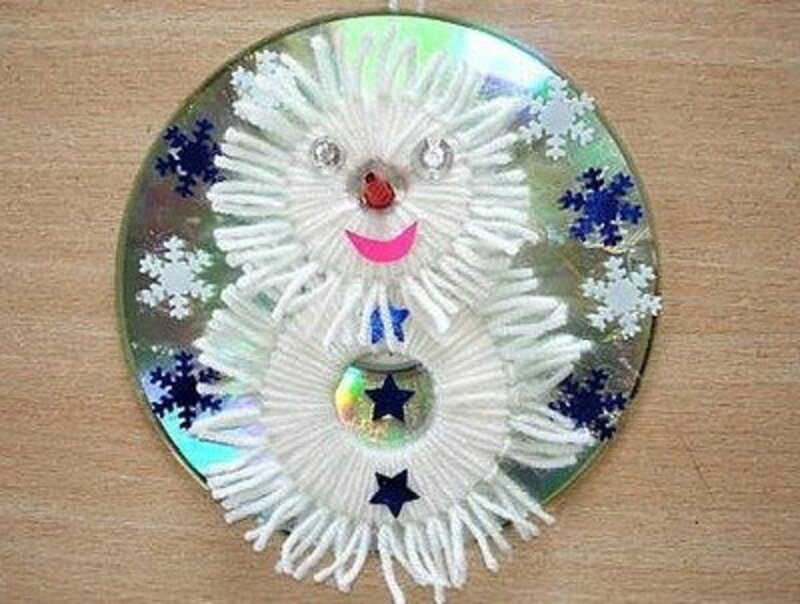 Wrap white yarn around a CD and ta-da, you have a cute snowman! 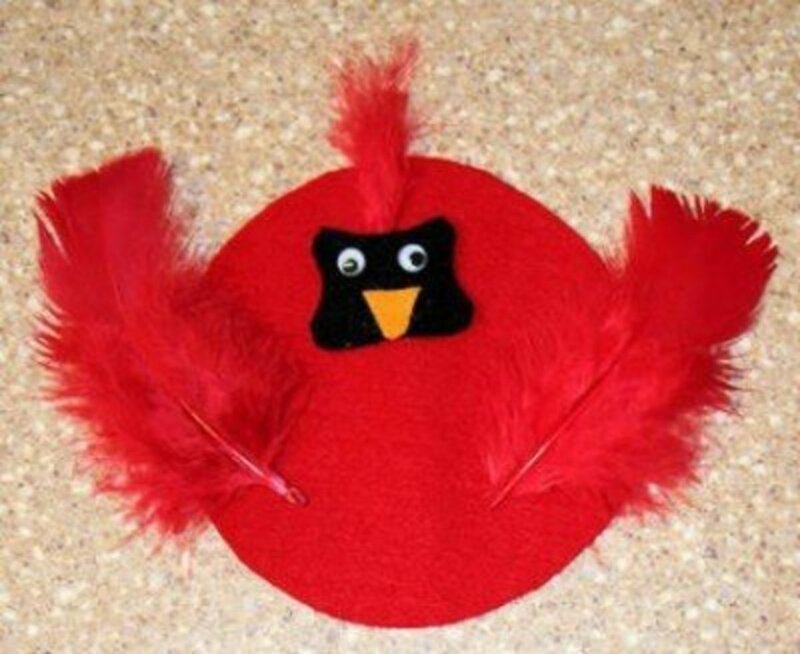 This actually looks like one of the Angry Birds to me, but The Spruce calls them cardinals. What do you think? 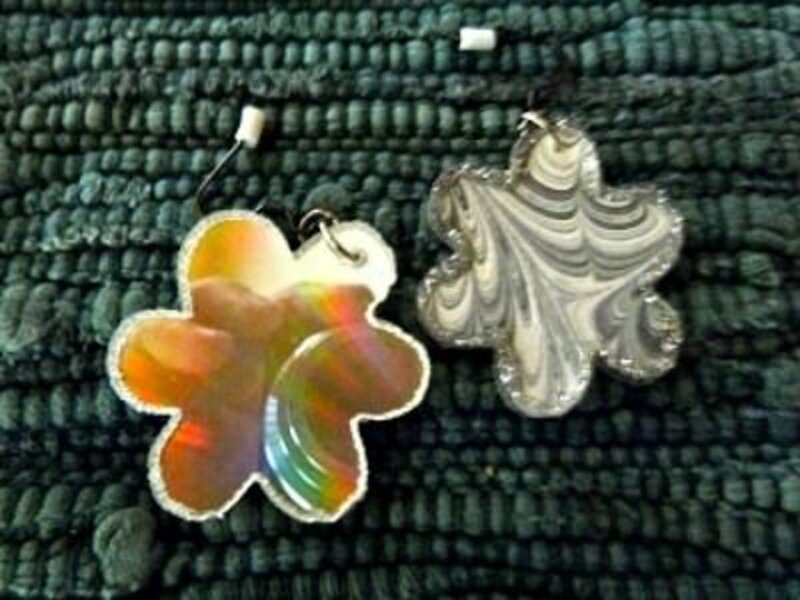 I love the looks of these sun catchers and think I could easily find a place to hang these beauties. Maybe I'll hang them on my patio. 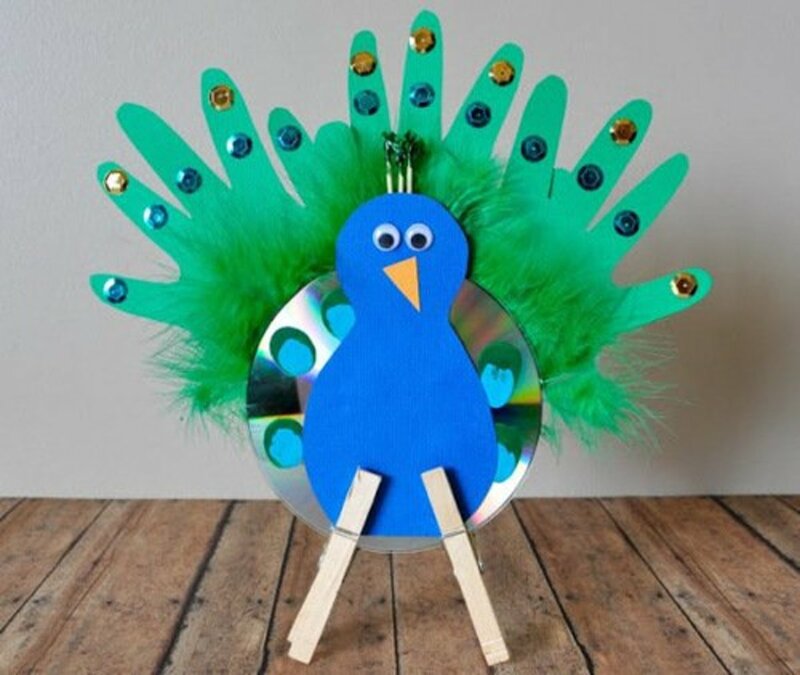 Have the kids make wind spinners to give as gifts. 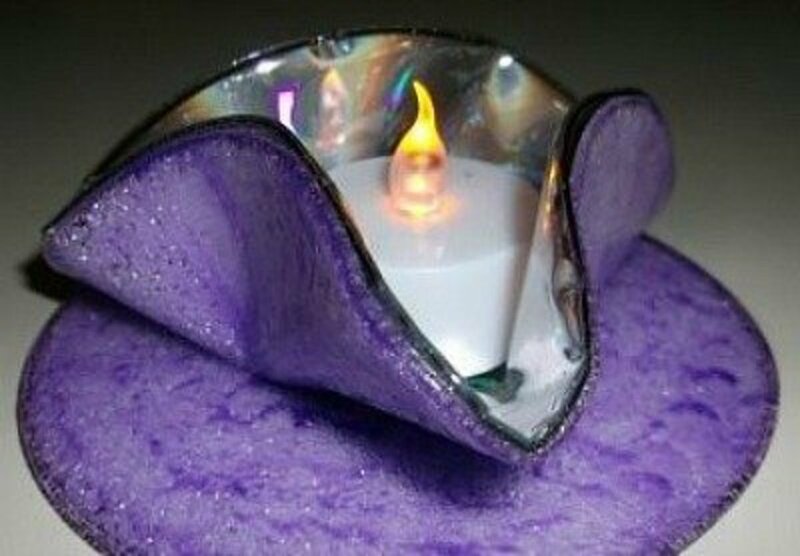 My little granddaughters and I had so much fun making these little tea light lamps. You can make them too over on FeltMagnet! 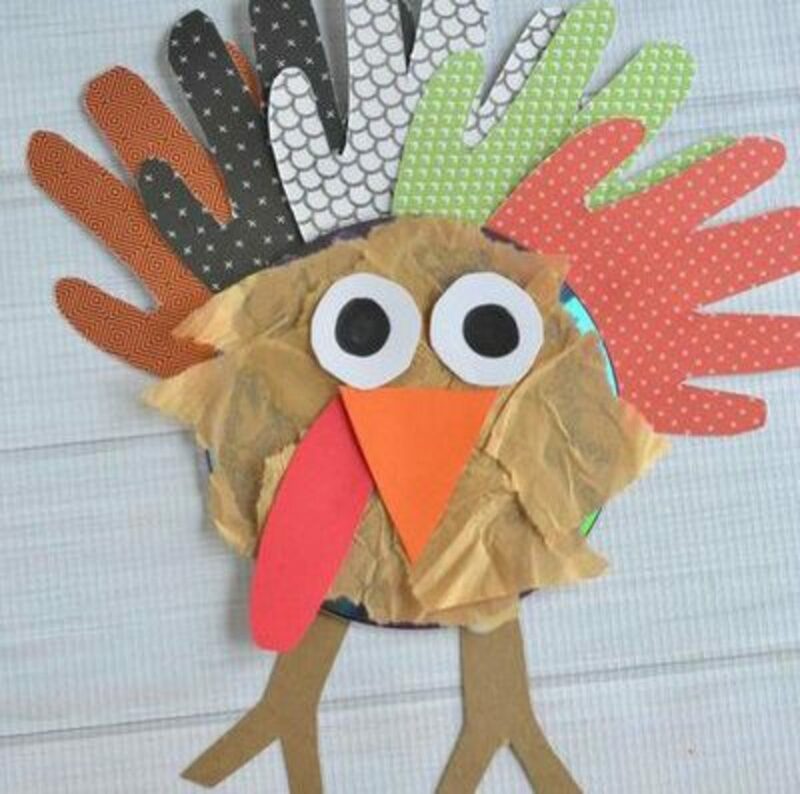 The kids will love making this Thanksgiving turkey. 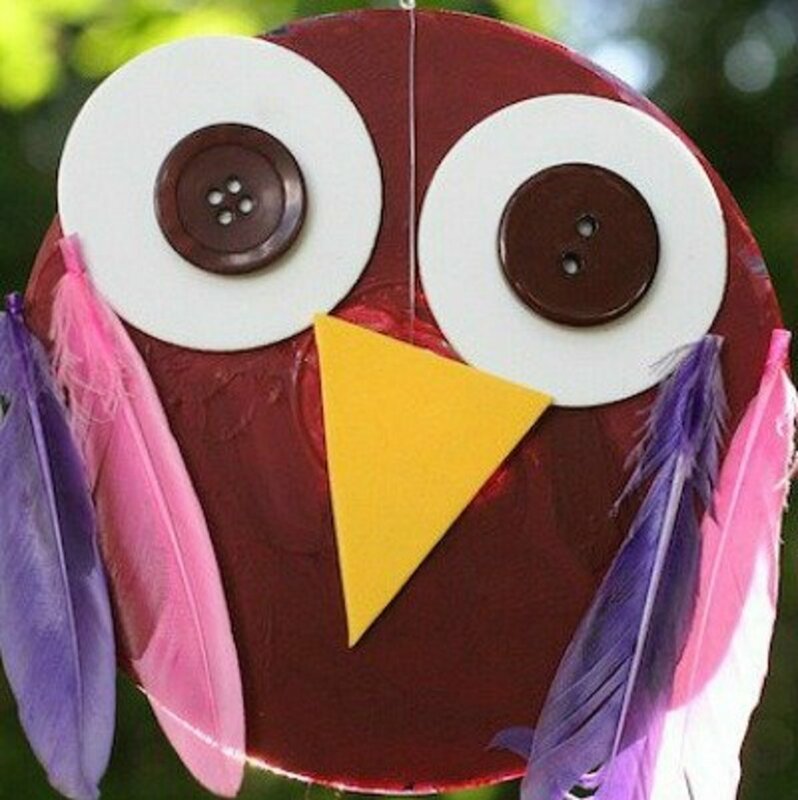 You'll find the tutorial for this cute feathered owl at Happy Hooligans. 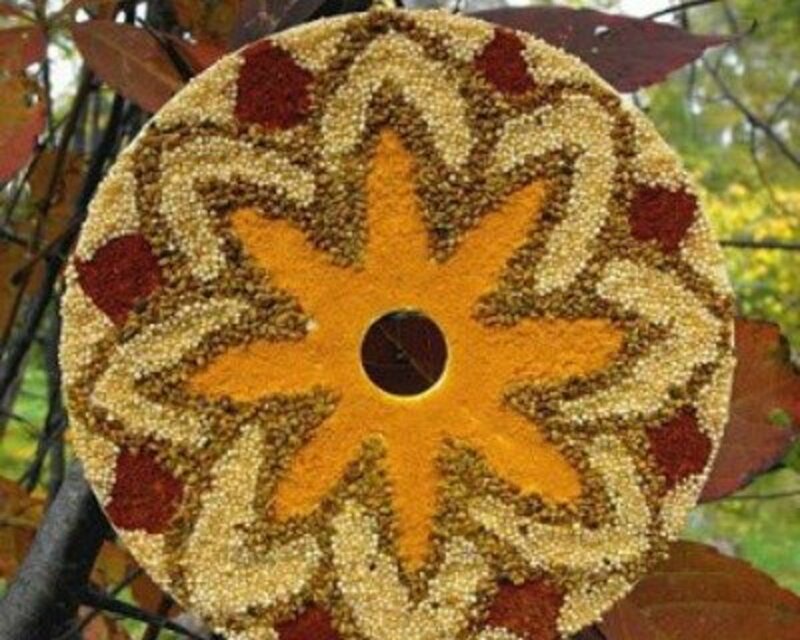 Imagine making these to hang in the cherry trees to keep the birds from eating all the fruit. 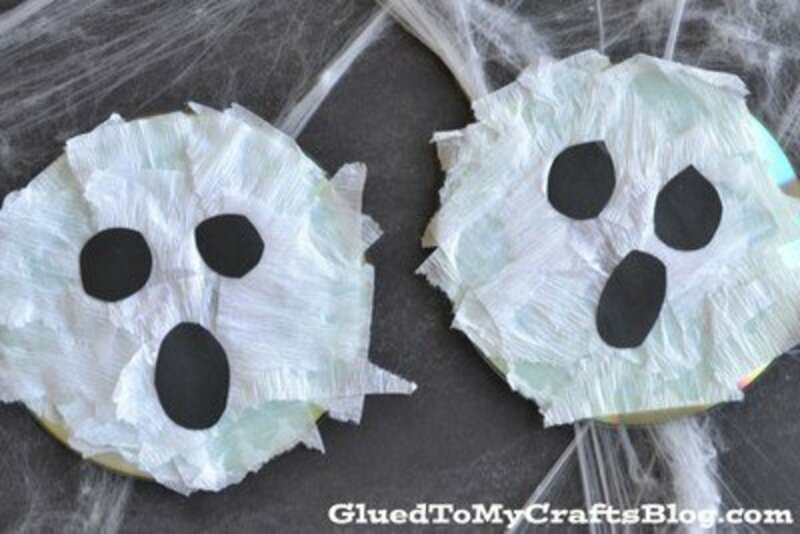 Can you imagine how much fun this ghost project will be for the kids? This would also make a cute Halloween decoration. 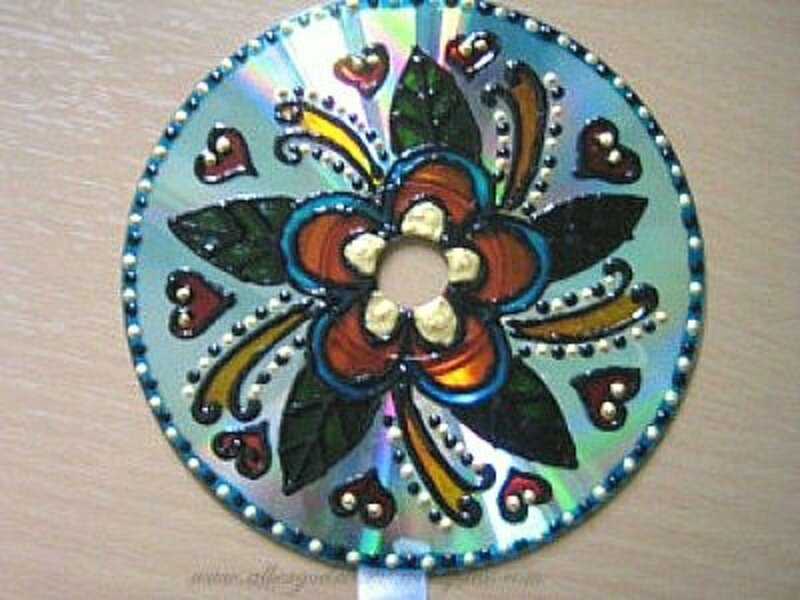 This is a very pretty and unique use for old CDs. 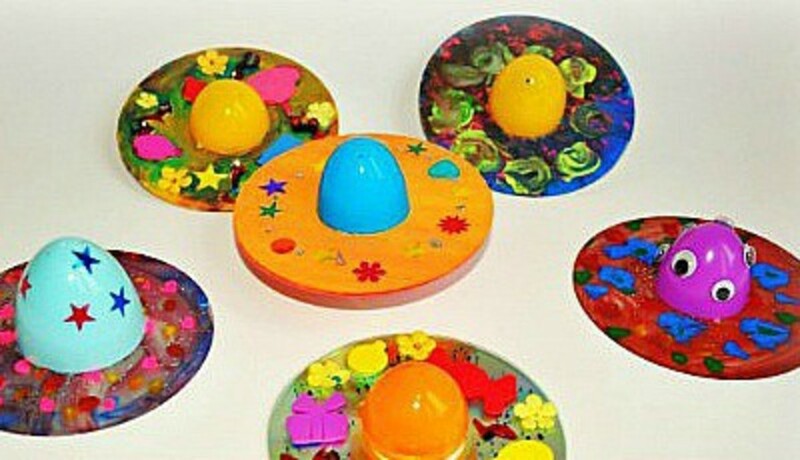 Find the instructions at Make it Easy Crafts. 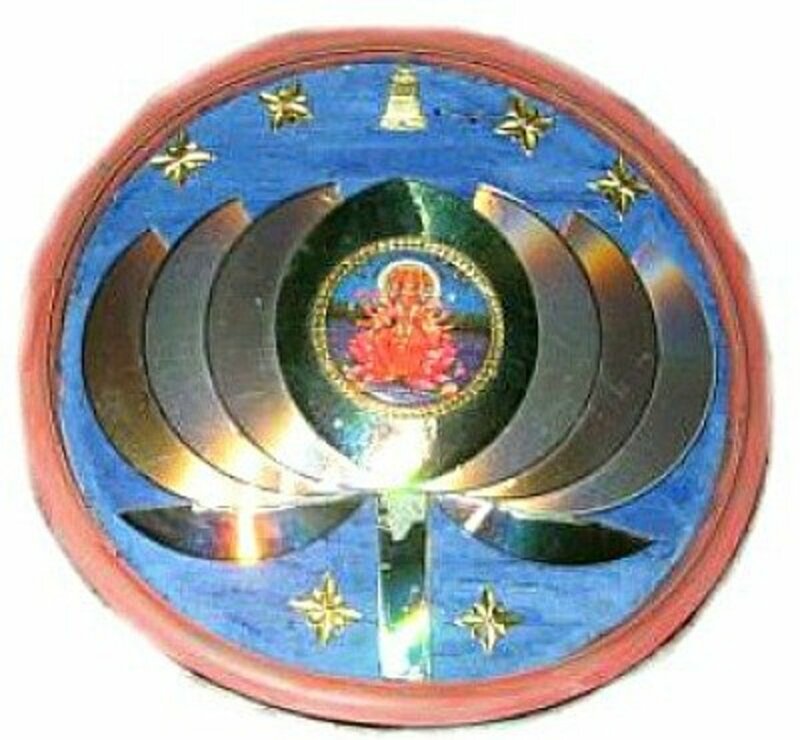 Make an interesting and pretty lotus shrine from old CDs you have laying around the house. 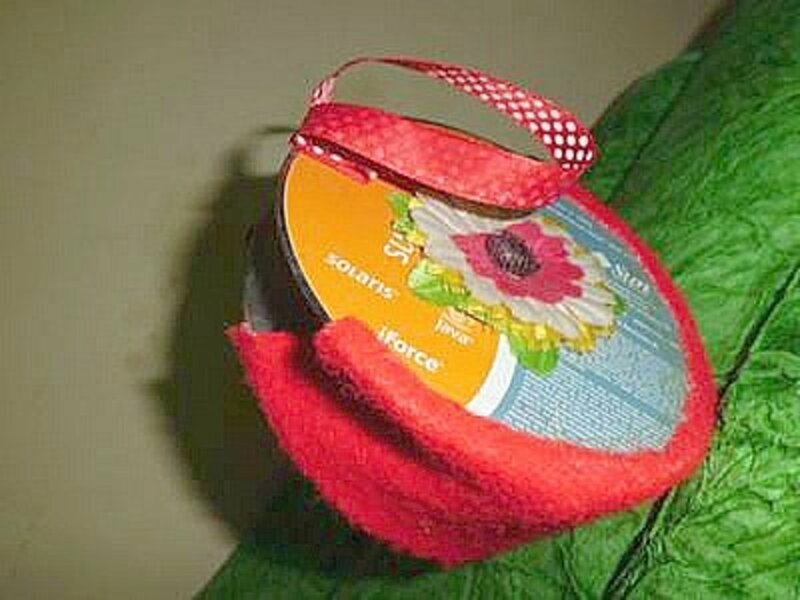 Any little girl would love making and using this purse made from CDs. You could talk about the singers and songs you enjoyed in the past, and she could share what she likes now! 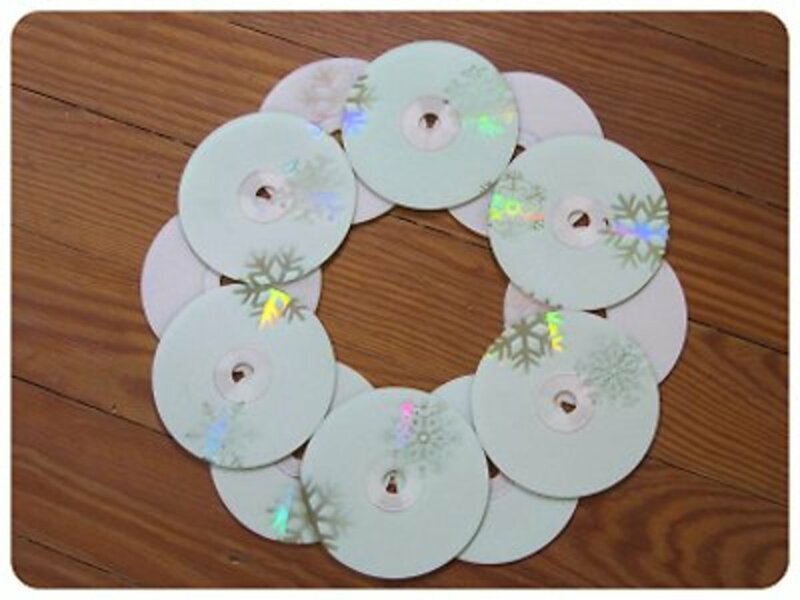 You also may have some CD cases you don't want to just throw away. 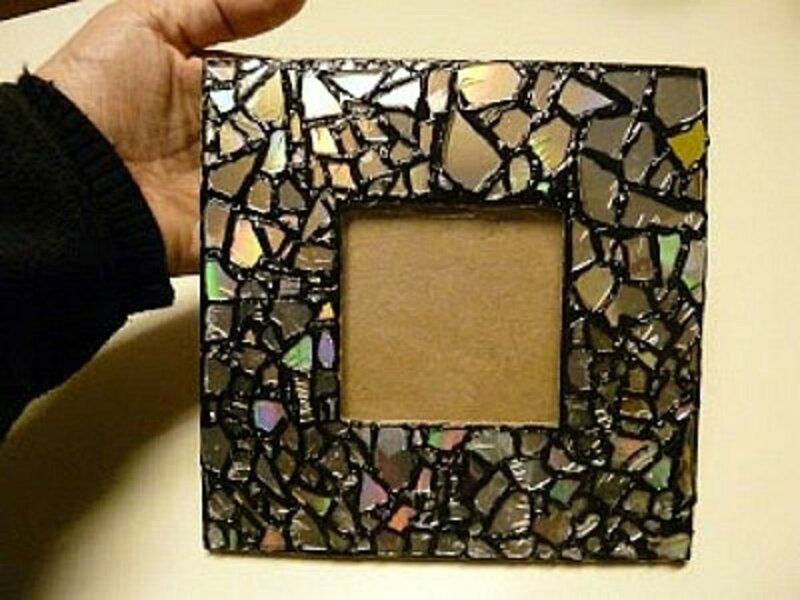 Turn it into a mini photo album! This little mouse won't make anyone squeal, but he's sure to make someone smile. Although this project is written in a foreign language, the instructions for these fancy ladies are really easy to understand. This is an outstanding project. Find the instructions to make it at Twig and Toadstool. 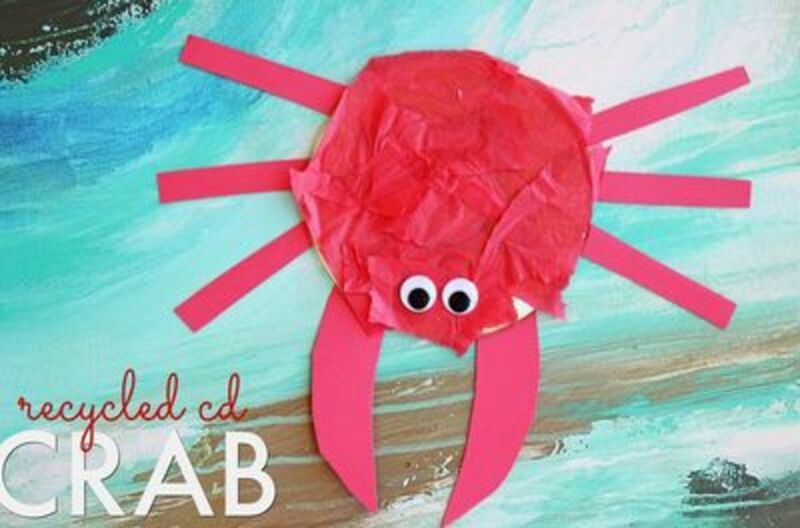 Help the kids make this adorable crab cd craft. 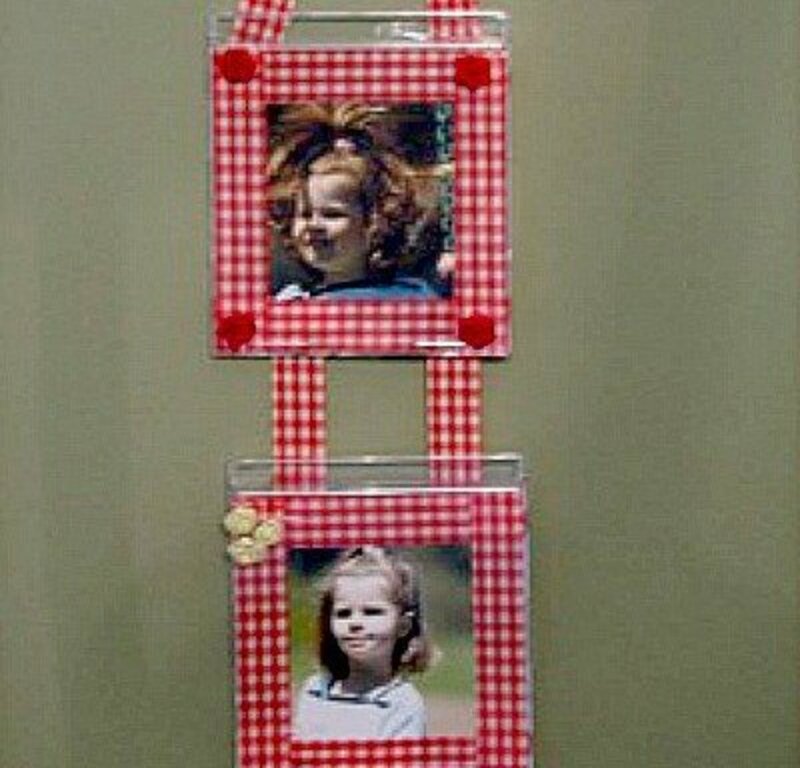 Crayola shares how to make a beautiful frame for Dad on Father's Day. 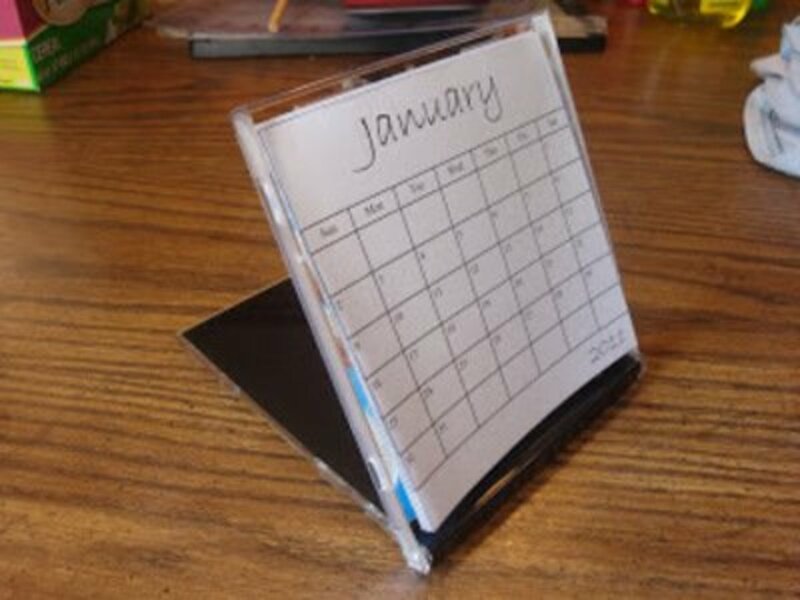 This desk organizer is made from old CD cases and would be a nice and inexpensive gift to make a parent, teacher or friend. 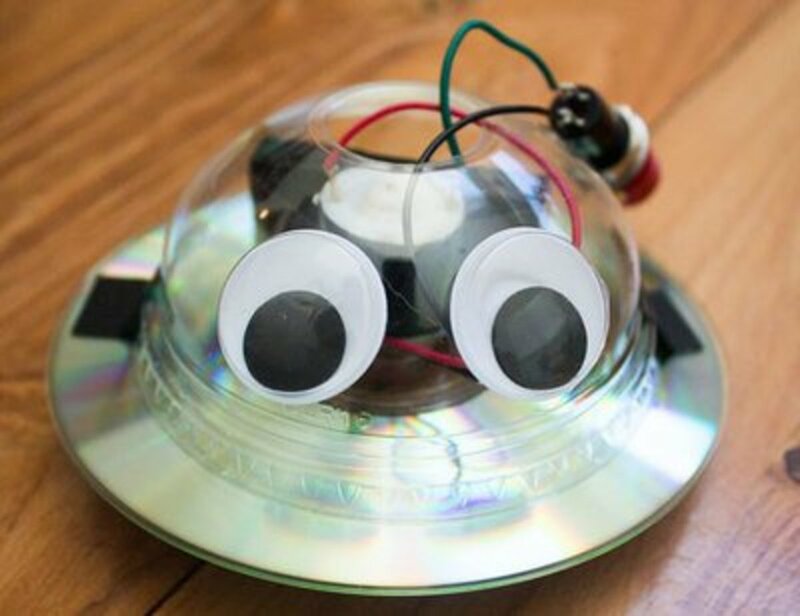 All the kids, especially the boys, will love making a Wobblebot using CDs. 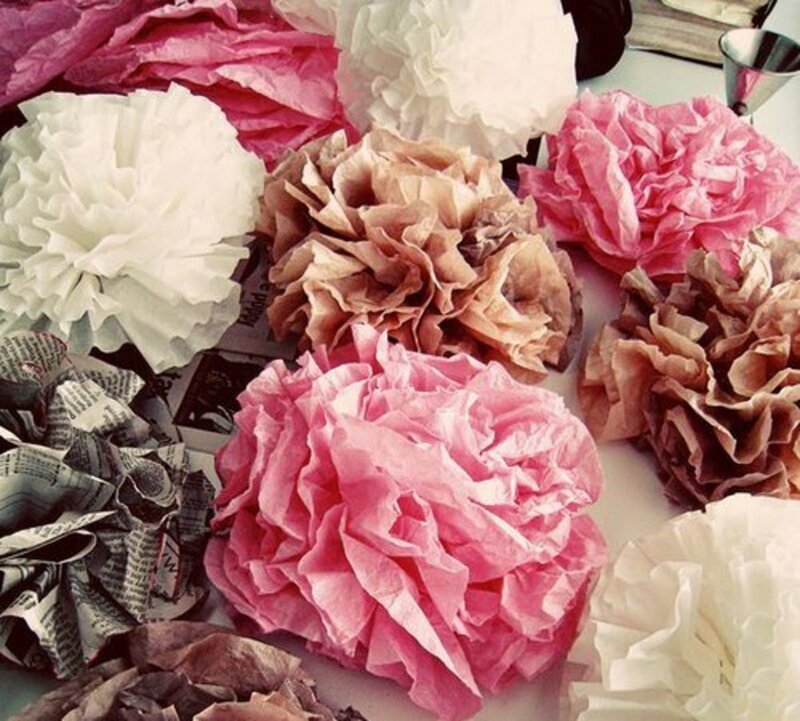 It'll be easy finding beautiful paper napkins to make creative wall art. 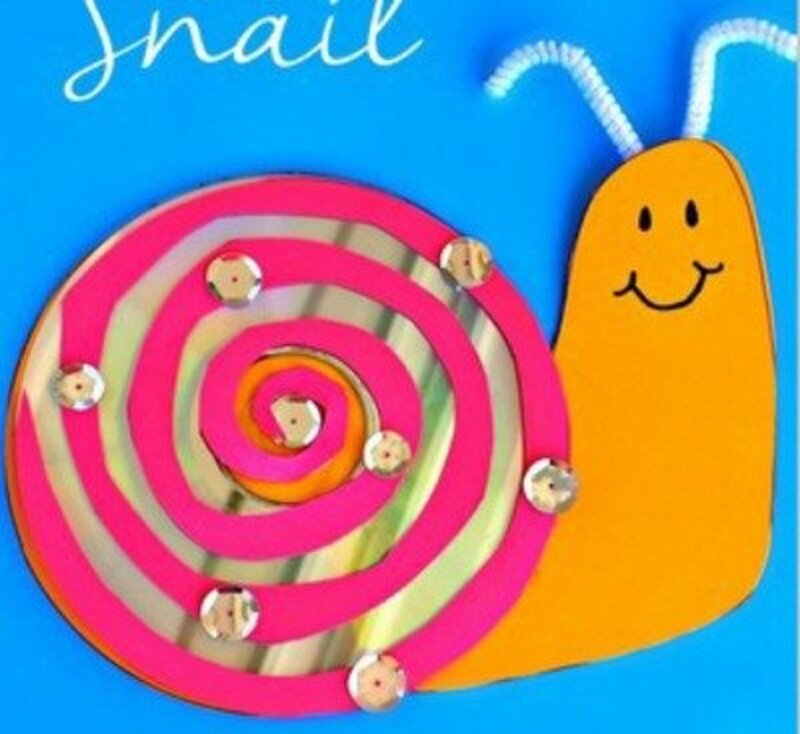 Be sure you have lots of sequins, stickers, stars, and decorations on hand so the kids can personalize their CD snail. This is an outstanding project for kids of all ages. 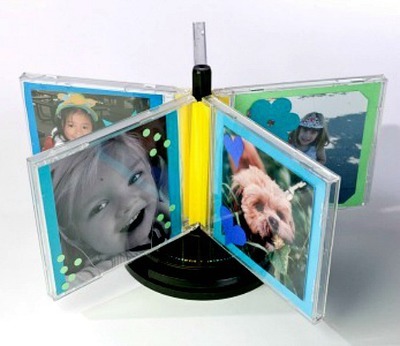 These picture frames made from CD cases would be really lovely decorations for any room. Just coordinate the fabric with the room's décor. This hovercraft would be a great rainy day project that keeps the kids busy for a long time. This is such a great idea for little kids and for the elderly who have a problem holding a hand of cards. 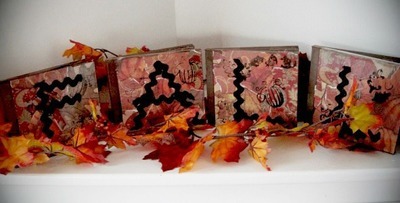 See the tutorial for making this card holder at Adapting Creatively. This would be a thoughtful gift to give someone at the senior center. 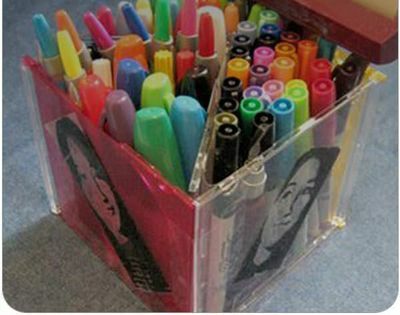 This looks like a great project to do with the kids. 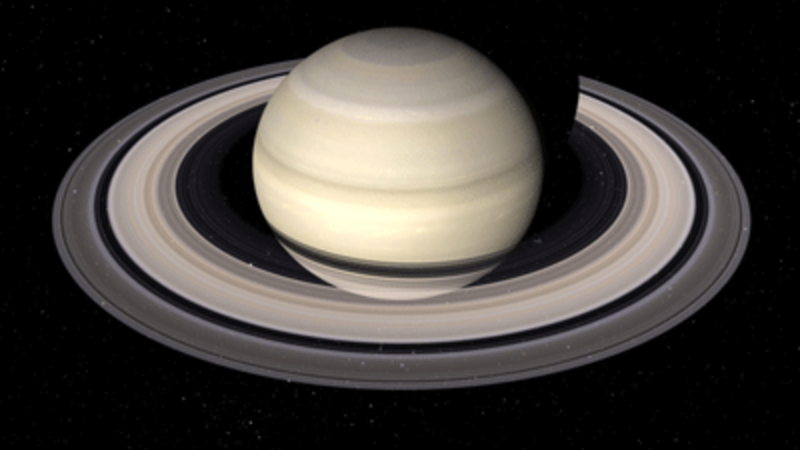 Help them make planets with the instructions at NASA Space Place. 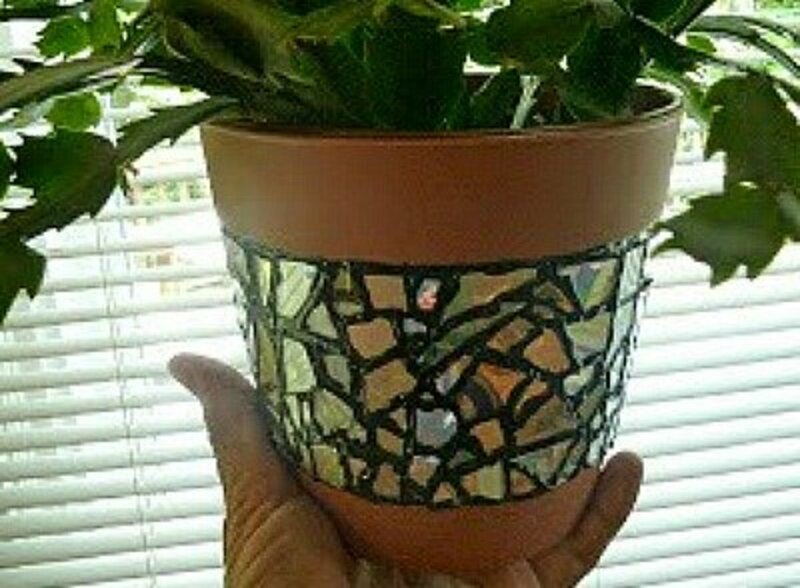 This flower pot from Make it Easy Crafts will be a nice addition to any home. This scare owl has got to be a ton of fun to make. Have a ball making this big owl. 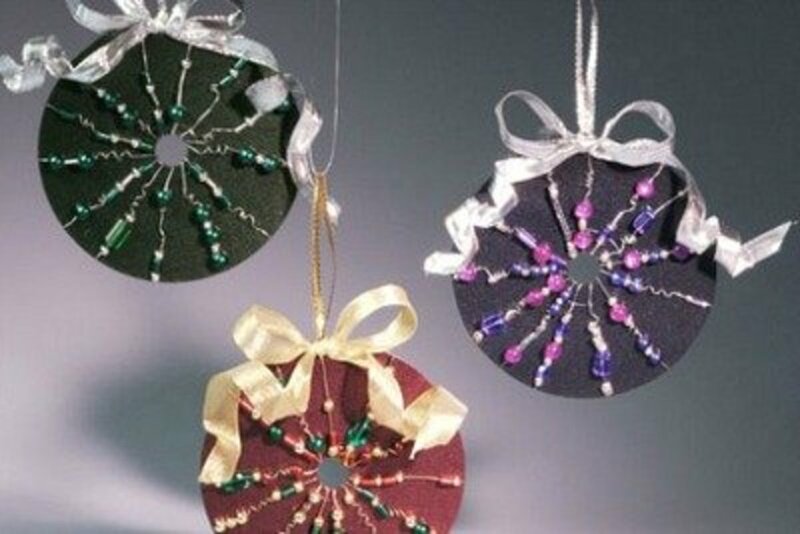 Check out these beaded ornaments! Aren't they lovely? 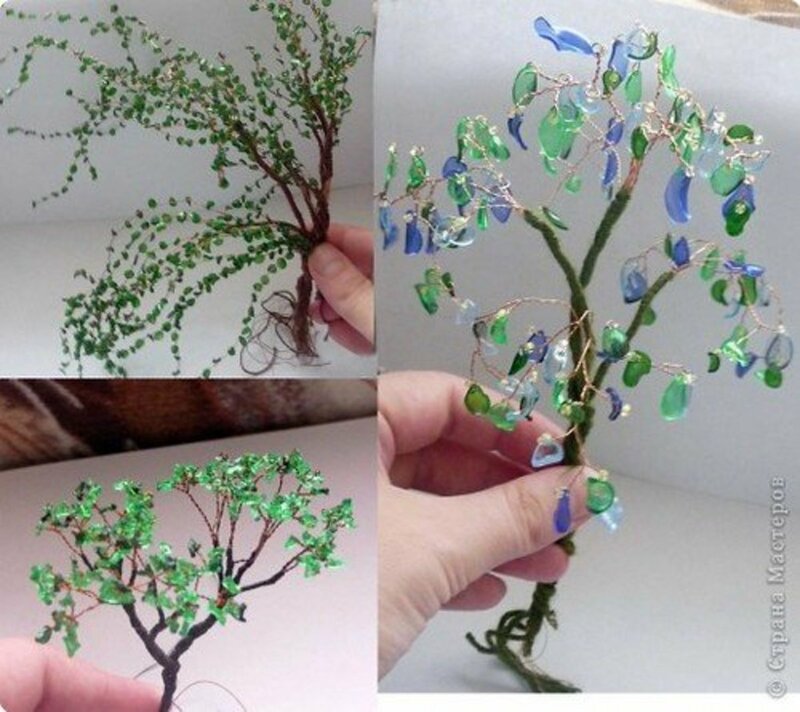 I would use them to decorate for the holidays. 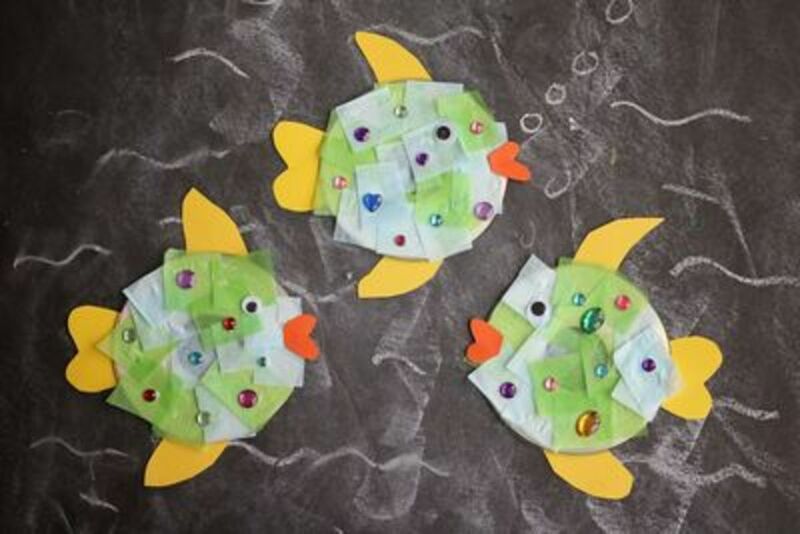 I think this sequined fish is a great project for kids of all ages because there are so many possibilities. 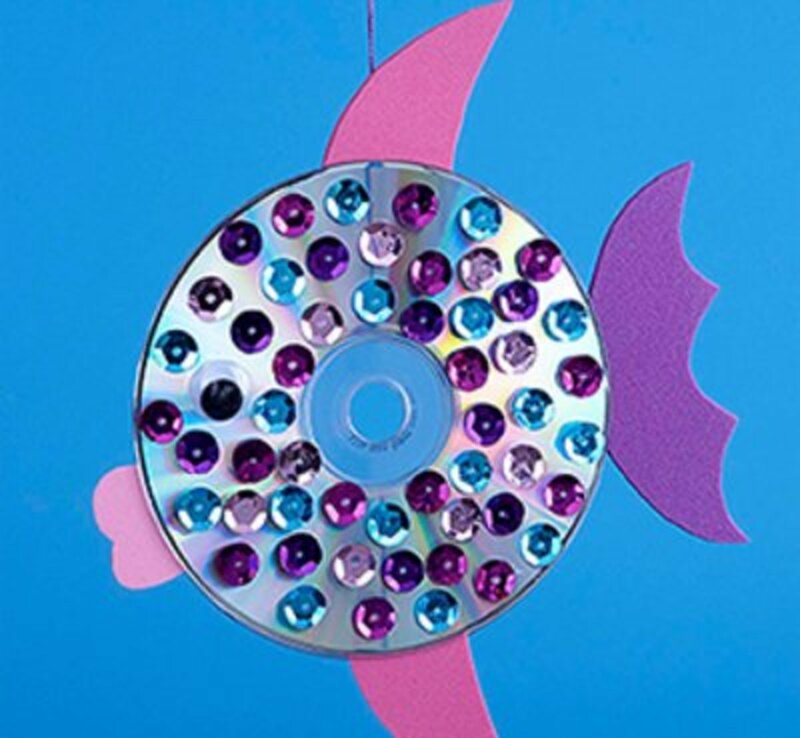 Go to The Spruce to make this CD fish art. 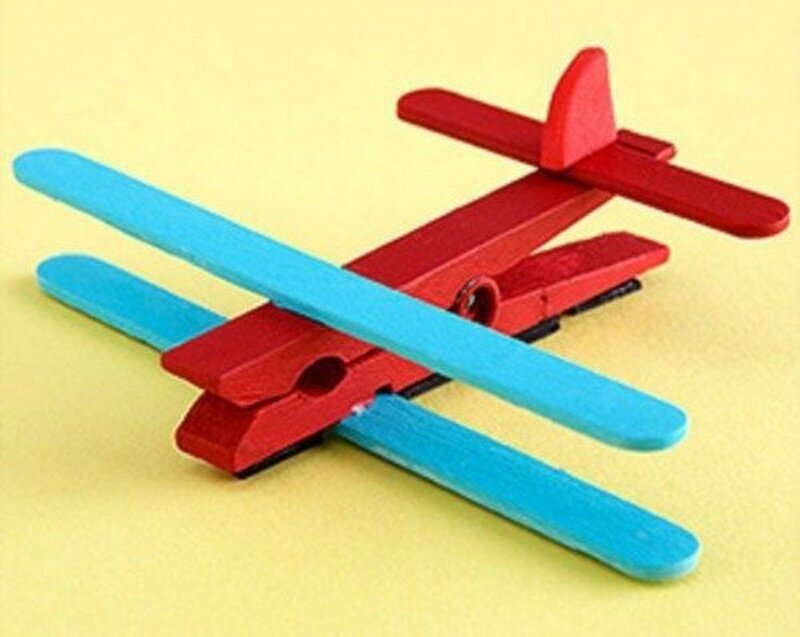 Simple but so attractive, and the kids will love this project. 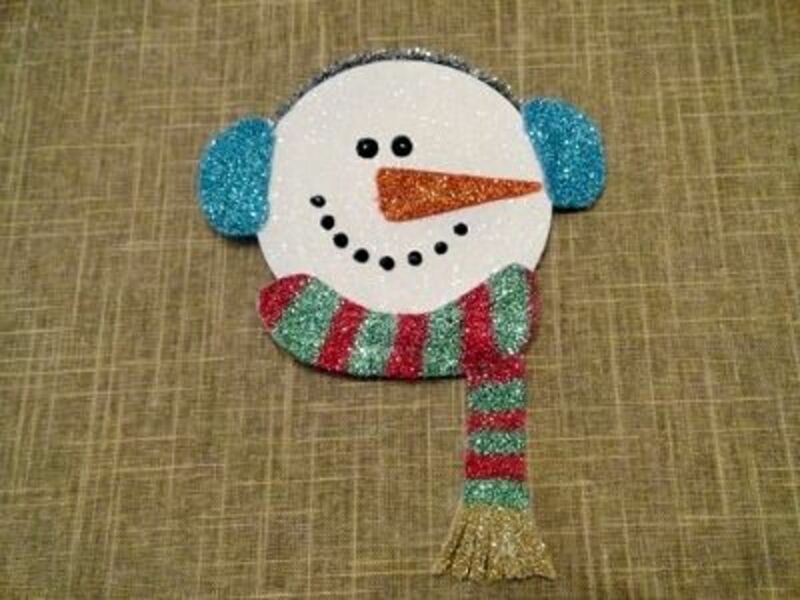 I love this glittery snowman and am sure there are plenty of places to display him. 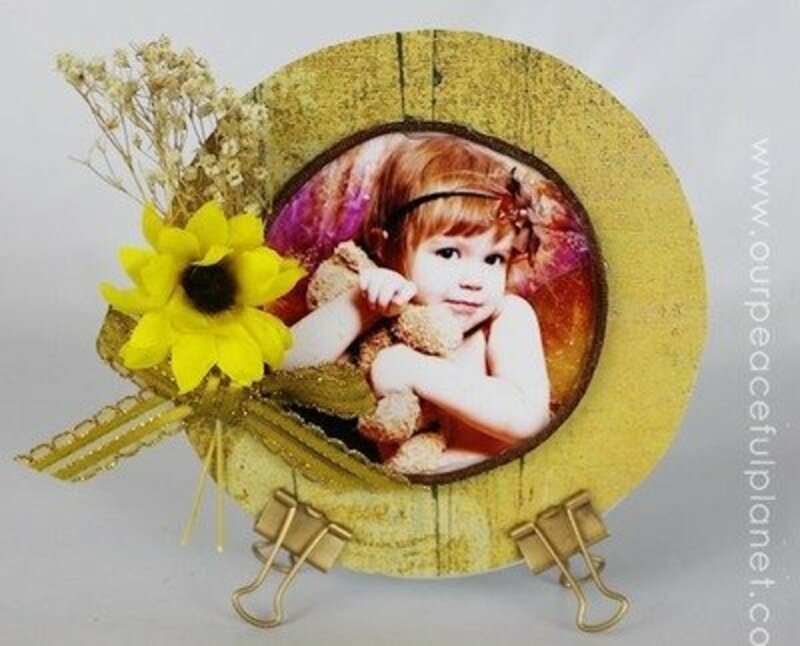 Learn how to make this photo spinner and have fun customizing it! 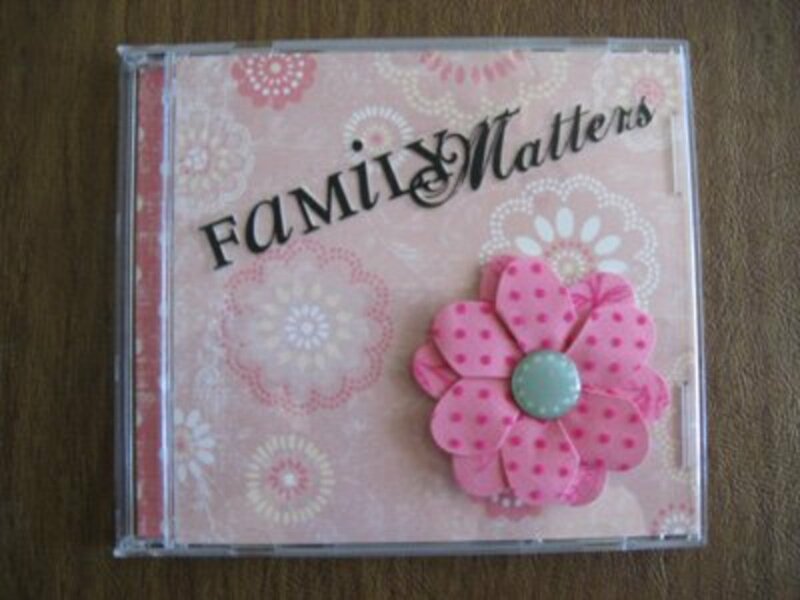 Learn how to create these cute CD earrings at Make it Easy Crafts. Wow. 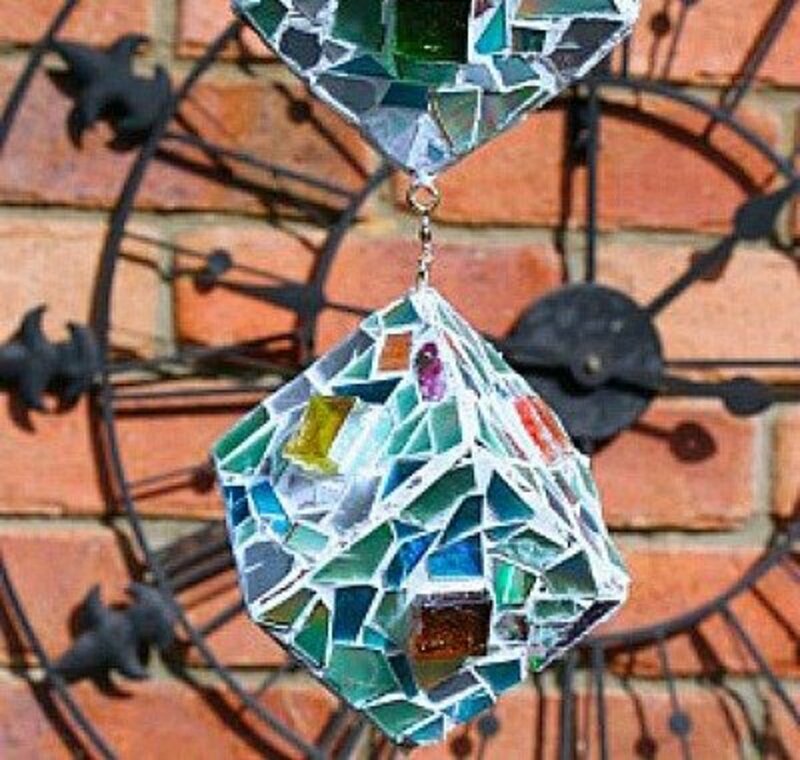 This unbelievably stunning wall hanging is made using a few old CDs! Make this cool winter wreath over at Cut Out + Keep. 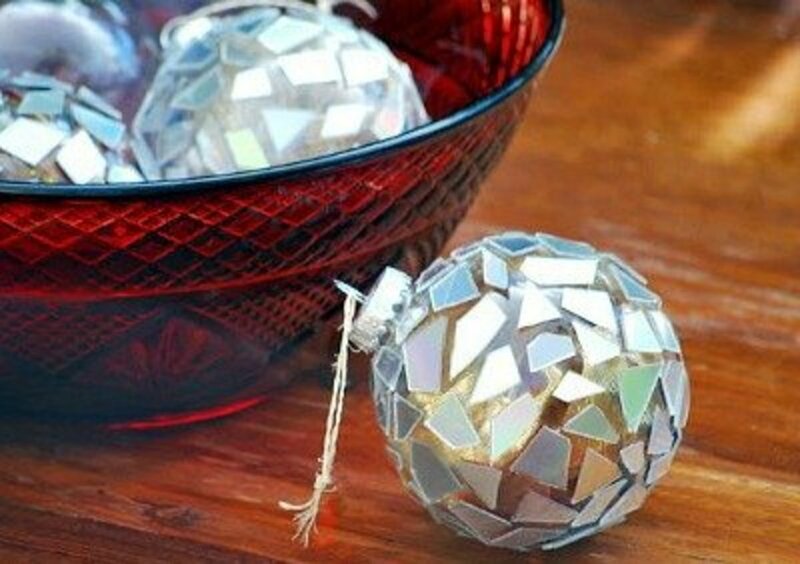 Make these beautiful shiny ornaments using old cd discs. 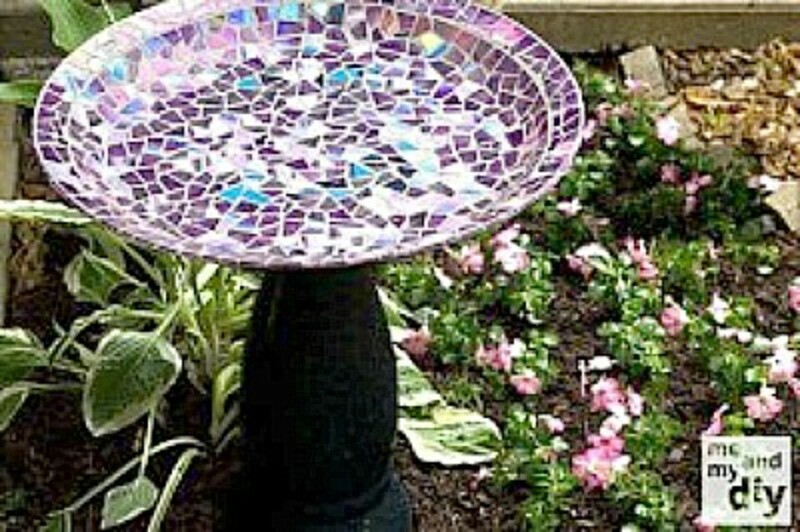 What a beautiful and unique way to use old CDs and update an old birdbath at the same time! 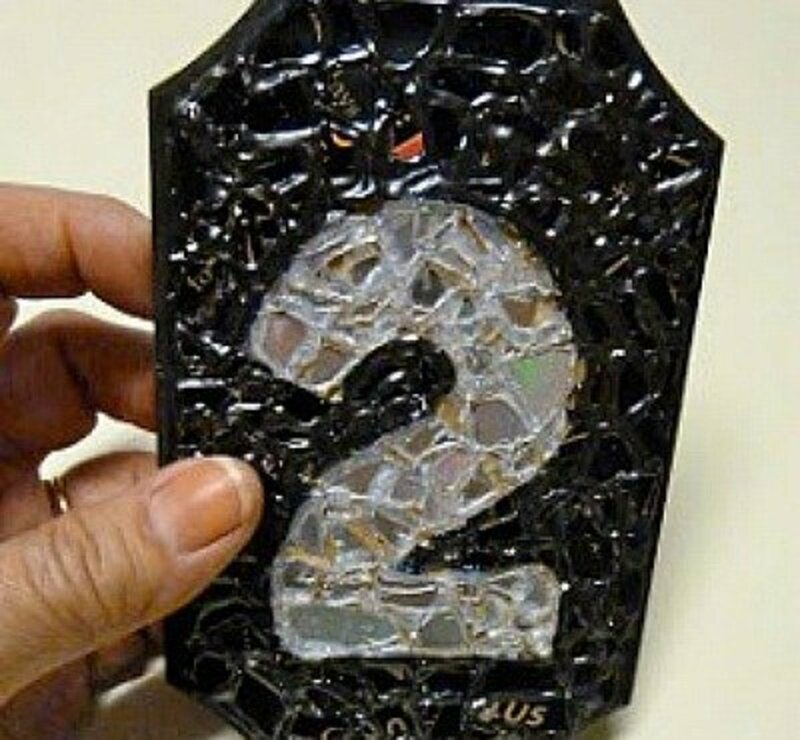 I love the look of this mosaic house number because it looks so elegant. 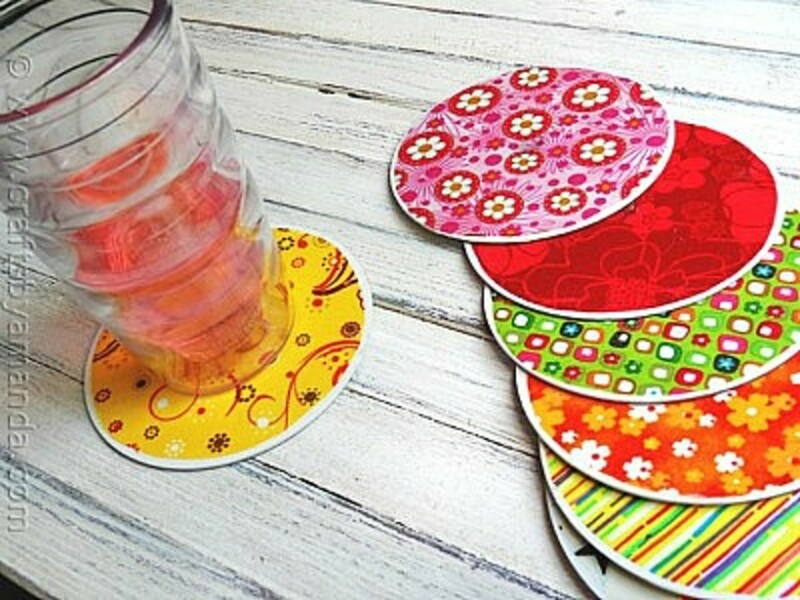 I think these coasters are a very nice and useful use for old CDs. The boys, in particular, are going to love making these cd spaceships. Let their imaginations go wild and fill their rooms with toys that are out of this world! You'll find the instructions for making this beautiful fall arrangement at A Lil Bit Fancy. 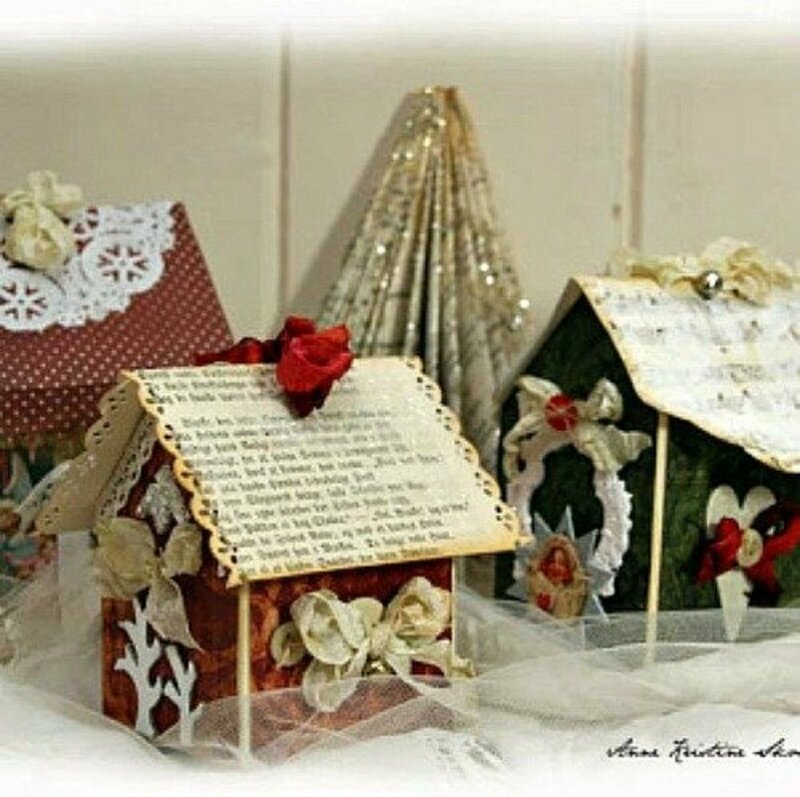 This project is so easy, and all you need are paint, torn paper, and decoupage glue. 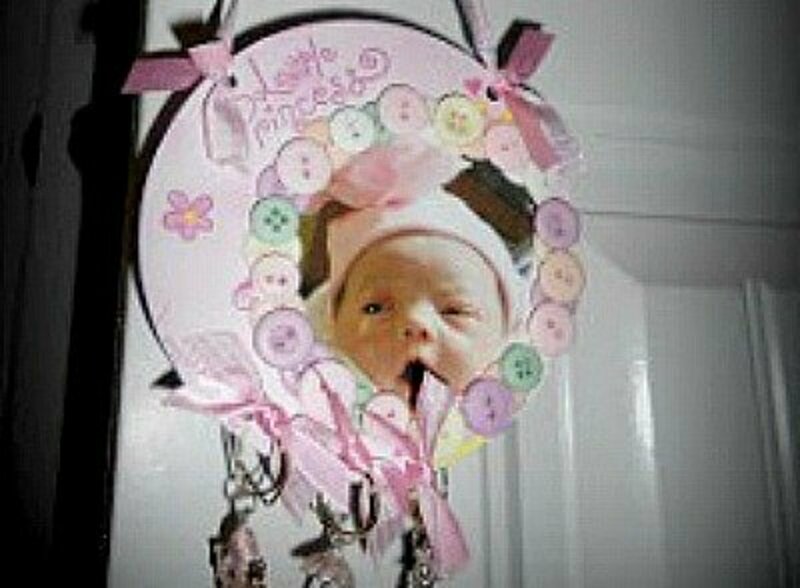 Make this cute door hanger as a decoration for a baby shower, or make one for an older girl to hang on her bedroom door. 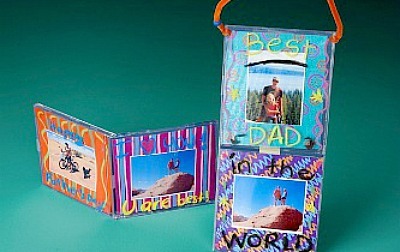 When we use an outdated item to make a recycled craft, we're teaching children the value of recycling. 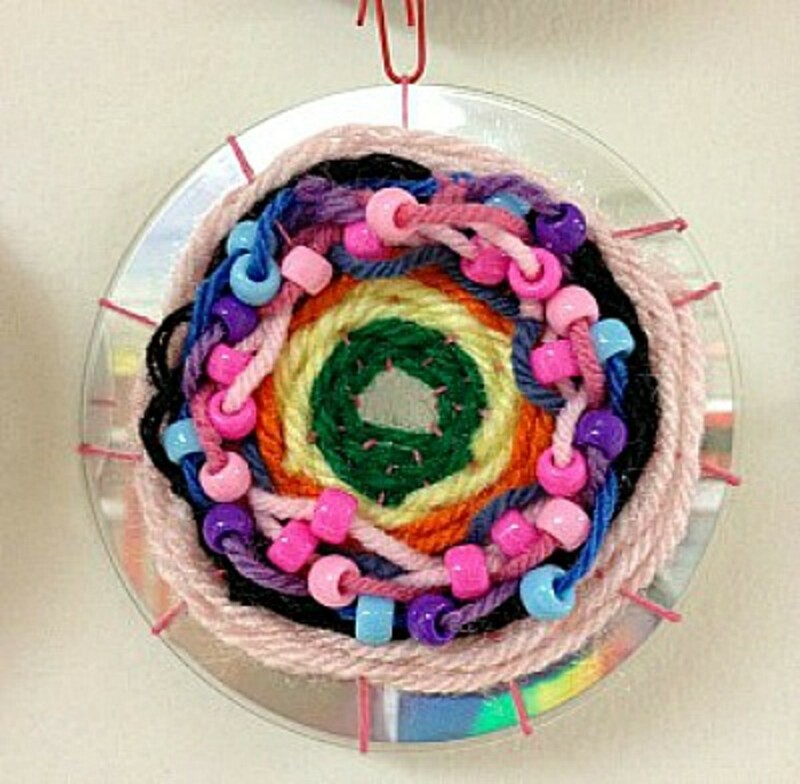 Show them how to make beautiful yarn weavings using old CDs. 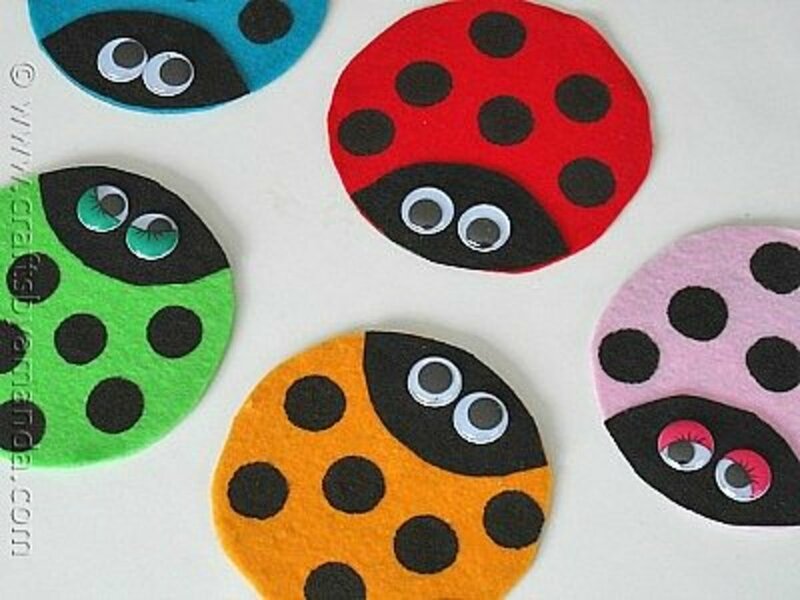 These cute little ladybugs would look nice hanging on a bedroom wall or could be used them as coasters. 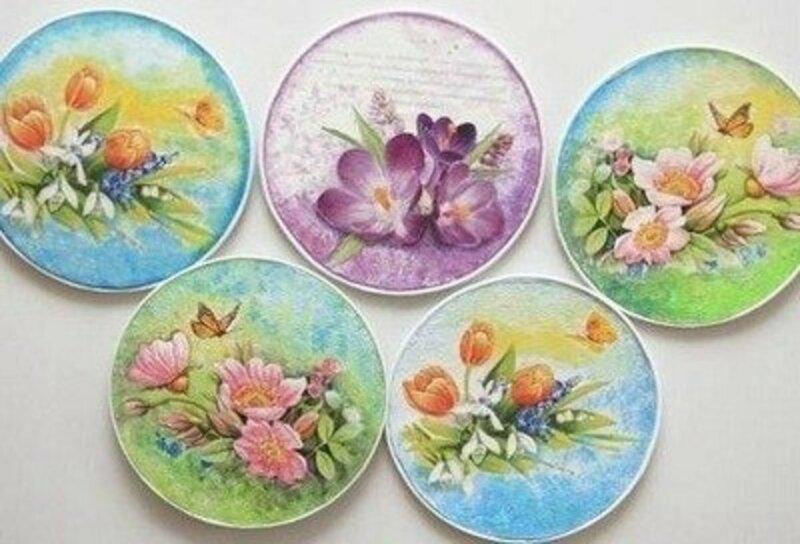 You could also hang them on the wall and take them down to use as coasters. 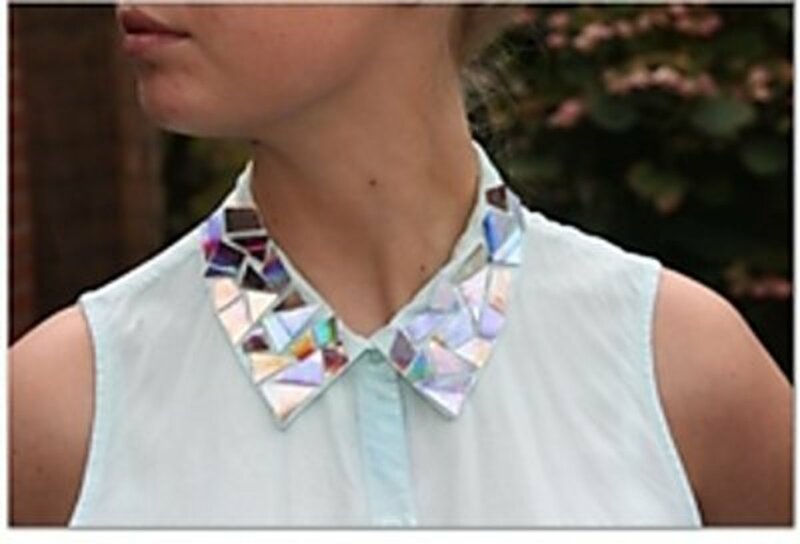 What a stylish statement collar! I would create a bib using the collar so I could pair it with different shirts and outfits. 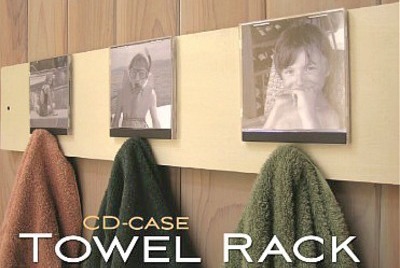 The kids are sure to hang their coats when they see this useful coat rack. You'll find the directions at LARK CRAFTS. All Things Made by Kelly shares her tutorial for making this useful and attractive desk calendar. Notice the cute little stand made with paper clips. Find the tutorial for this project at Our Peaceful Planet. 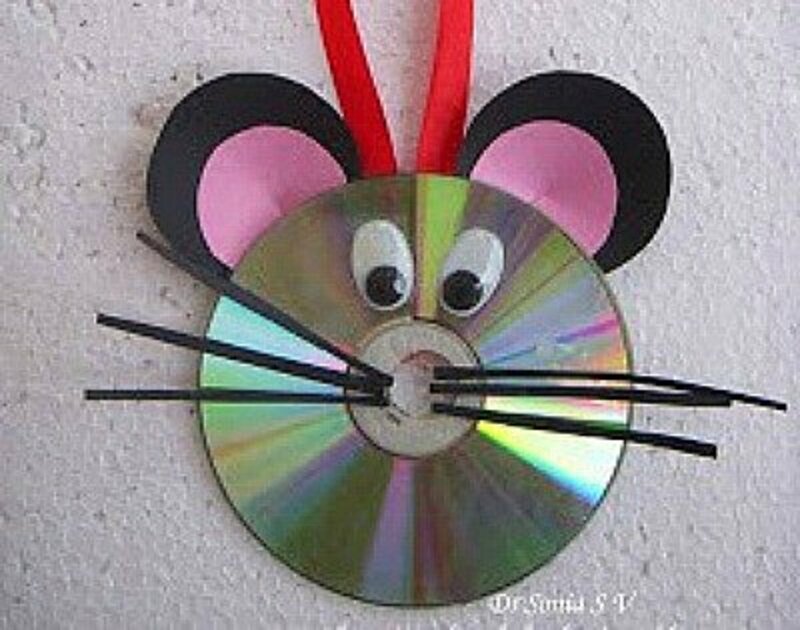 Did You See a CD Craft That You Liked? - or leave a comment. Hi MG Seltzer, and thanks for the thumbs up! It's hard to decide on which craft to do first. The birdbath is one of the projects I want to make. 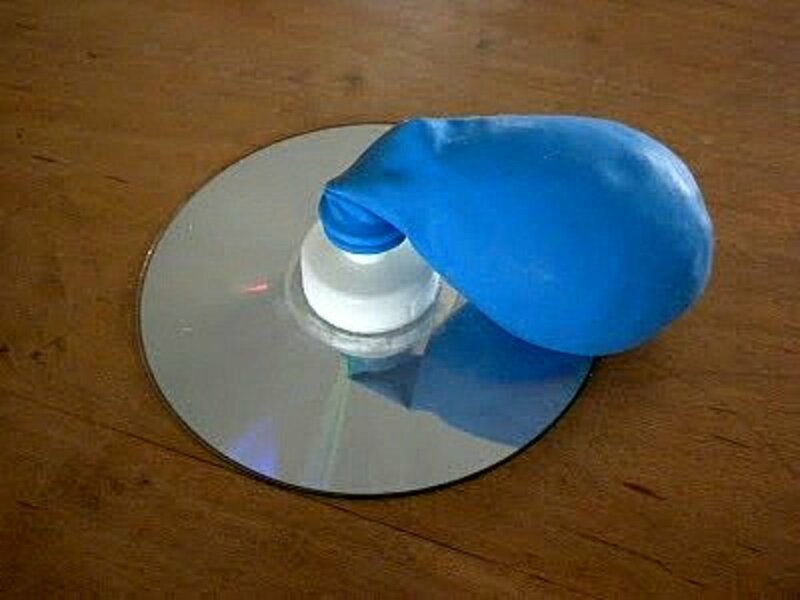 I like the CD lamp idea. I'll check out the video. Thanks for the information! Thumbs up, of course. I liked them all. You found good project ideas. Wow! This lens is so interesting! I've never thought of that! Thanks for sharing! Yes, there are so many great ideas - thanks for sharing!